The Bachelor of Business Administration in Banking and Finance is a three-year programme. Applicants can apply for admission to Senior Year. This programme includes basic and advanced courses which cover fundamental to more specialized knowledge of banking and finance. These courses aim to equip students with the essential skills to be banking or financial analysts. The comprehensive design of the curriculum nurtures students’ global perspectives to meet the challenges of globalization. I am honored to have joined the Fosun Group in Shanghai as an Investment Summer Analyst in the Oil & Gas Department this year. 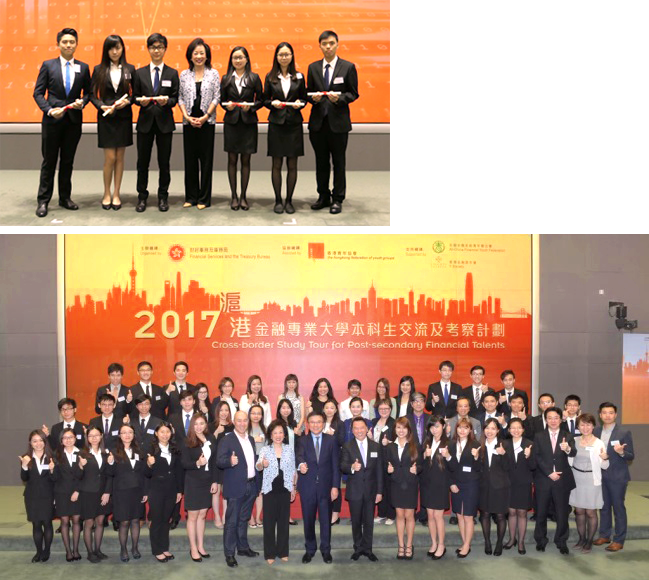 Fosun offered me a valuable opportunity to explore and develop my career in the investment sector. Joining the Merger & Acquisition (M&A) project at Fosun, I was able to enhance my understanding of the prerequisites and procedures of M&A. As an accounting student, I was a rookie in the Investment sector. Fortunately, the people I met in Shanghai were very nice and supportive. Every day, I got to learn from my mentors and colleagues as they were willing to train me with the professional knowledge and skills on how to handle the given projects by sharing their own experience. I have learnt that investment is not only about figures on the financial statements; it also requires us to be familiar with the trends of the industry in which the company is operating. I was inspired by the financial markets development in China and willing to pursue my career in China in the future.